All of the 3 rooms (26 square meters + terrace) are with a terrace and are facing to the inner garden. 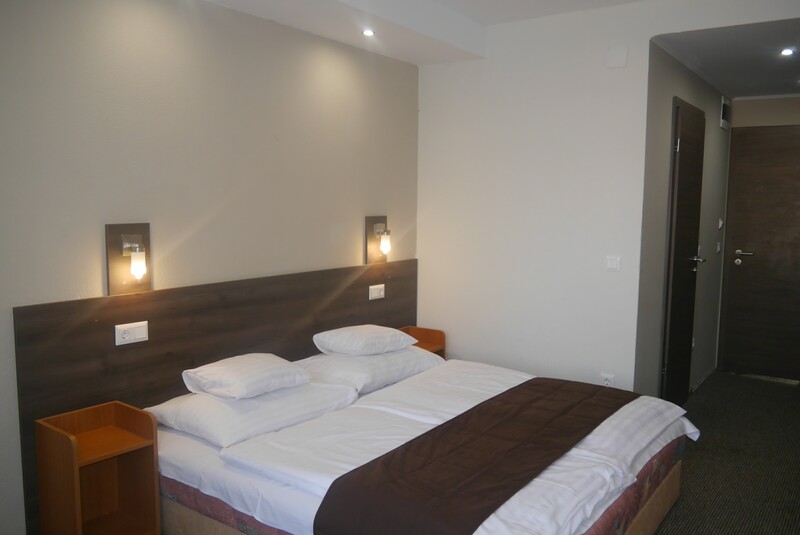 The rooms have a carpet on the ground and are equipped with TV, fridge and a comfortable armchair. The bathrooms are equipped with a shower only. 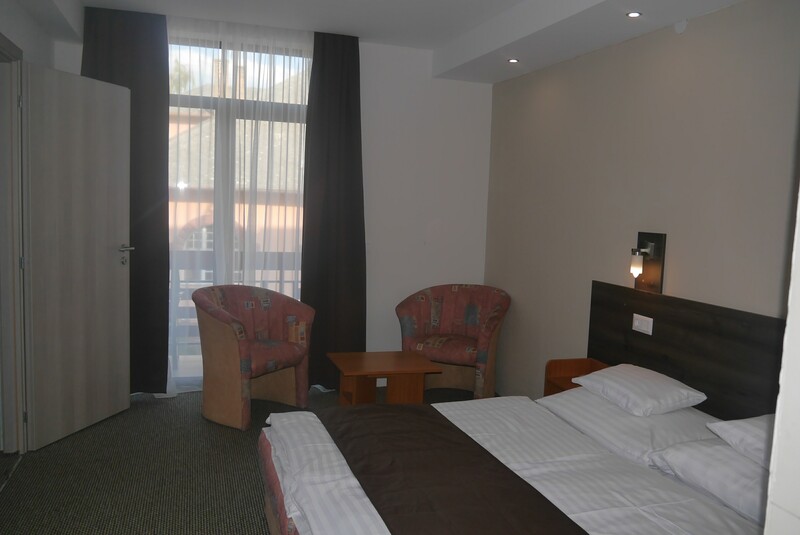 The room is suitable for 3 or 4 people who would like to spend their holidays in a common area but in separate rooms. These rooms cannot hold a spare bed. The rooms are listed as standard. between the period of 10 July and 21 August we cannot accept bookings for 1 night. 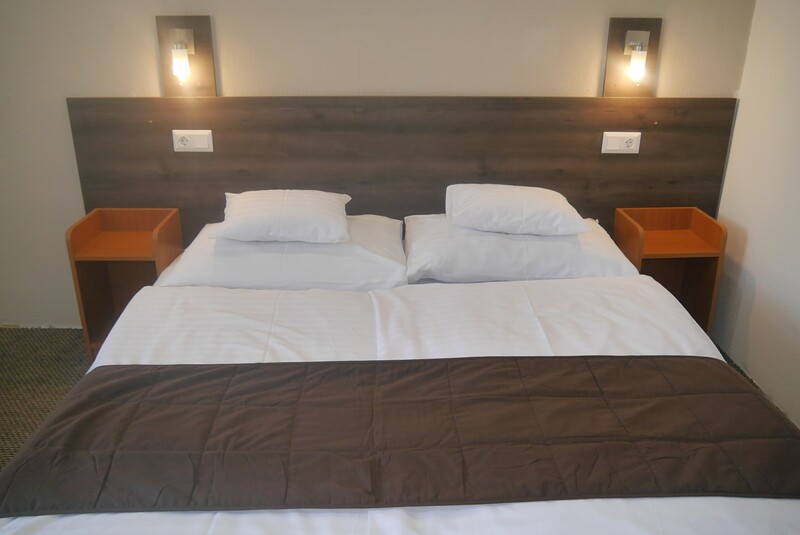 We can only provide accommodation for 1 night depending on the current occupancy about which you have to get information 1-2 weeks before booking. For a 1 night booking please pay upon arrival. We charge extra for a 1 night booking between the period of 1 July and 31 August. 515 Ft/person/nights above the age of 18. 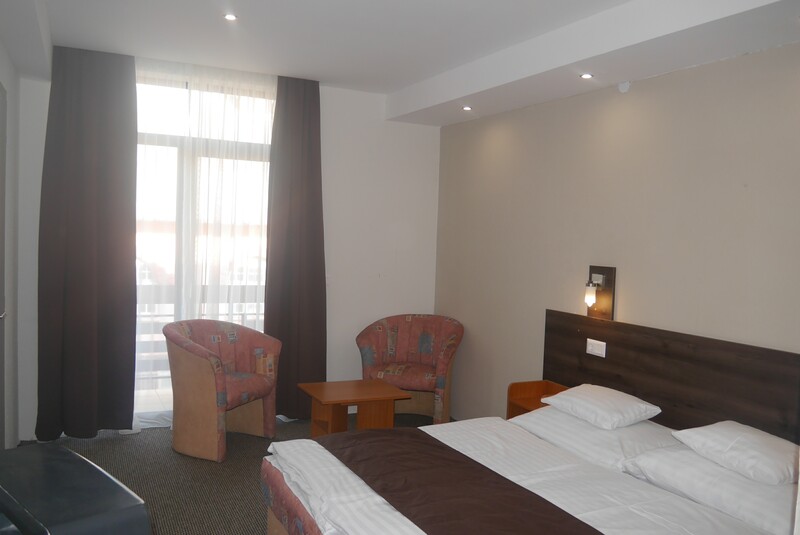 The prices of the rooms and the discount offers does not include the tourist tax. We provide baby bed, baby bath free. Please inquire these items upon booking, because we have a limited possibilities. We can provide baby chair and cutleries in the restaurant as well. Pets are not allowed. Thank you for your understanding.